Getting started on IBM Watson Media is easy! In order to broadcast, you first need to create an account. Click on the 'SIGN UP' button in the upper right corner. This will take you to our pricing page. 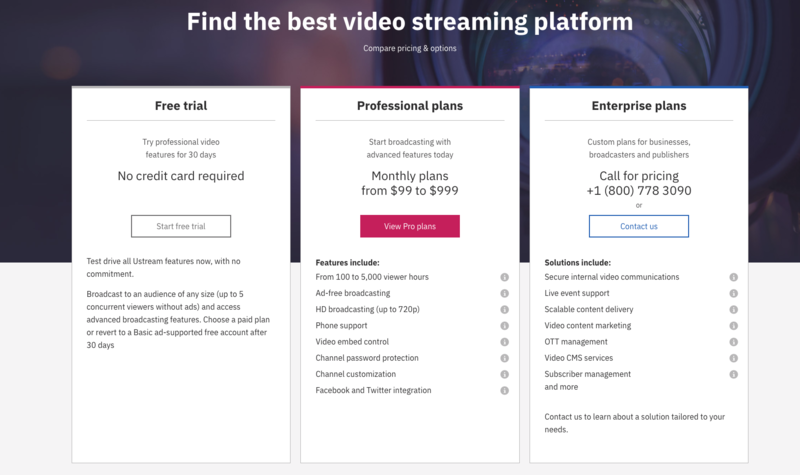 To sign up for one of our Pro Broadcasting plans, click on 'VIEW PRO PLANS' and select either a Silver, Gold, or Platinum Level account. You can sign up immediately for free, however, by selecting 'START FREE TRIAL'. The free trial lasts for 30 days, after which you can sign up for a Pro Broadcasting account or continue as a free user. After creating your account, you'll want to check the email you used in creating the account for a verification link. This is to make sure that your email is really being used by you. 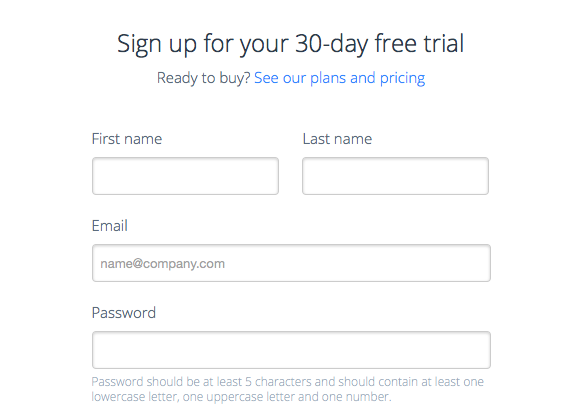 Open the email, and click on the button to start your free trial! At this point, you can choose to go live immediately, check out the video manager, or just look around your account. You can find specific instructions on creating your first channel and broadcasting from our web broadcaster in this help center, or search lots of other topics from our help center home page.